2840 at Dukessa's signature avocado toast. Photo courtesy of 2840 at Dukessa. Easter is the culmination of the Lent season and many people celebrate the holiday by putting on their Sunday best, taking the kids to Easter egg hunts and indulging in lots of food. As usual, restaurants across Houston are offering diners plenty of mouth-watering brunch, lunch and dinner options. Here’s our list of where to enjoy some of the best meals the city has to offer. 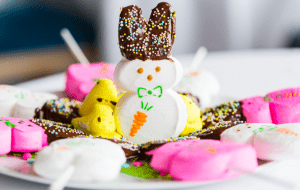 2840 at Dukessa, 2840 Chimney Rock: 2018 James Beard Award semifinalist chef Ross Coleman (formerly of Kitchen 713) is preparing a family-friendly but elegant Easter feast. The kids can enjoy holiday-themed activities, and the whole family can enjoy stations for made-to-order omelets, Herb-Crusted New York Strip and Soy-Honey Glazed Carver Ham. In addition, there will be a seasonal fruit and cheese display, Chef’s Summer Salad, biscuits and gravy, Cedar-Smoked Salmon Benedict, Pecan Pie French Toast with berries, avocado toast, and shrimp and grits. Decadent sweets to end the meal with include New Orleans-style bread pudding with vanilla bean caramel, Strawberry Shortcake Bites with lemon curd and a do-it-yourself ice cream bar with plenty of toppings. The cost is $58.75 for adults and $14.95 for children 10 years old and younger. Reservations are encouraged and table tickets are available online or by calling (713) 299-7821.
a’Bouzy, 2300 Westheimer: Celebrate Easter a’Bouzy-style with its regular brunch menu from 10 a.m. to 3 p.m. Start with the Brioche Toast Service featuring daily butters, jams and Texas wildflower honey designed to pair perfectly with a glass of bubbly. All-star dishes include the B.A.L.T.E. sandwich with crispy bacon, avocado, Bibb lettuce, tomato and fried eggs; Pork Hash with braised pork carnitas, jalapeño, onion, peppers and sunny side eggs; and Strawberry & Waffles with strawberry butter, whipped cream, maple syrup and the option to add fried chicken strips. The regular dinner menu is served starting at 3 p.m. Call (713) 722-6899 to book reservations as space is expected to be limited. The Oceanaire, 5061 Westheimer: The Oceanaire will open early for Easter Sunday at 11 a.m. with brunch classics and new favorites such as Lobster Benedict, Surf & Turf Omelet and Seared Maine Diver Scallops. Call (832) 487-8862 for reservations. Dandelion Cafe, 5405 Bellaire Blvd: Dandelion Cafe is open for Easter brunch from 7 a.m. to 2 p.m. with two holiday features created by chef JC Ricks. In addition to the usual menu of coffee, juice, wine and craft beer, mimosas and sangrias are $4 each. Easter brunch features Quiche Chicken Florentine with herb tomato salad and Lemon Curd topped with macerated blackberries & basil. The regular menu is also available. Extra treats include fresh-baked cookies with Easter themed shapes and decorations, which are also available by the dozen for pre-order by calling (832) 988-9210. 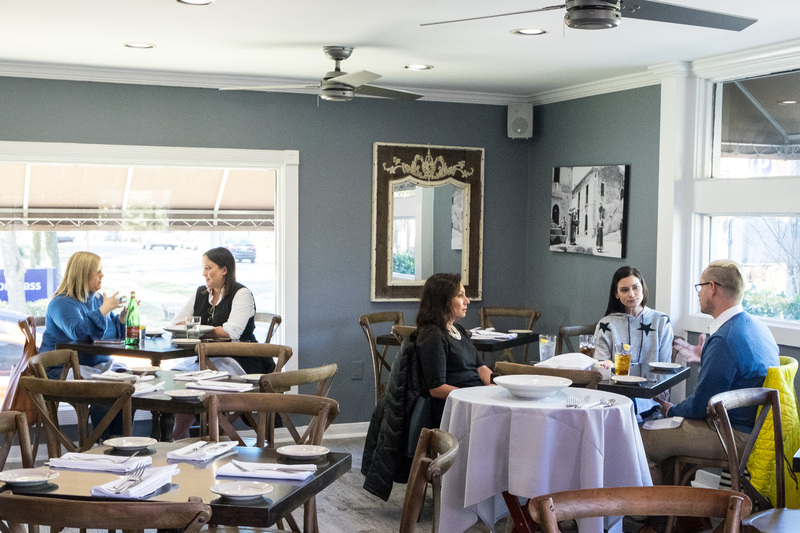 Bistro Provence, 13616 Memorial: Head to West Houston for a three-course, multiple choice Easter lunch menu available from 11:30 a.m. to 2:30 p.m. It costs $39 for adults and there is a two-course children’s menu for $18. Owner Genevieve Guy created the menu to give diners an example of what Easter is like in the South of France. To reserve for Easter, call (713) 827-8008 or contact Bistro Provence through email at [email protected]. Brennan’s of Houston, 3300 Smith: Easter Brunch is from 10 a.m. to 4:30 p.m. with traditional favorites from executive chef Joe Cervantez like Matagorda Bay Oyster Stew, Crawfish Boudin Stuffed Quail, Louisiana Crawfish Migas, Butcher’s Smoked Bacon & Eggs Grillades and a NOLA Praline Tres Leches Cake. Be sure to hop on over to Brennan’s with the little ones for a special Brunch with the Bunny on Friday, April 19 and Saturday, April 20 to enjoy an early Easter Brunch celebration from 9:30 a.m. to 1 p.m. A photo session with the Easter Bunny costs $20 and includes complimentary mimosas for adults and interaction opportunities with live rabbits. The Brunch with the Bunny Menu costs $30 per child and $45 per adult. It includes biscuits and muffins, choice of starter, entrée and dessert from the “Down the Bunny Trail Dessert Room.” Reservations are required and can be made by calling (713) 522-9711. When making reservations be sure to mention Brunch with the Bunny. 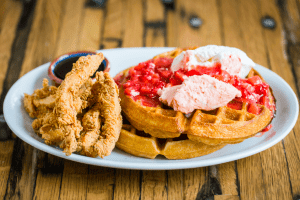 Harold’s Restaurant, 350 West 19th: Located in one of Houston’s historic neighborhoods, Harold’s in the Heights delivers when it comes to authentic southern hospitality. Easter Brunch is from 10 a.m. to 3:30 p.m. Dine on classic brunch favorites like French toast or deviled eggs plus check out the special dishes like the Big Nasty Breakfast featuring a savory buttermilk-fried chicken breast paired with housemade biscuits, cheddar cheese and gravy. The cost is $45 per person and there is a separate kid’s menu available. Make reservations online or call (713) 360-6204. King’s BierHaus & EggHaus Gourmet, 2044 East T.C. Jester; 2042 East T.C. Jester: King’s BierHaus and EggHaus Gourmet are hosting multiple family-friendly activities including Easter egg hunts at 11 a.m. and 2 p.m. on Easter Sunday plus photos with the Easter bunny. Adults can indulge in complimentary mimosas. EggHaus Gourmet’s is open 8 a.m. to 4 p.m. and King’s BierHaus brunch is 10 a.m. to 4 p.m. Call (281) 990-3042. Visit the King’s BierHaus event page or EggHaus Gourmet event page for more information. Helen in the Heights, 1111 Studewood: This Heights locale is roasting a while lamb for Easter and and Greek Orthodox Easter. The lamb is served with lemon roasted potatoes and roasted greens for $34 per plate. Service starts at 11 a.m. and runs until sold out. Aside from the lamb special, the full regular menus are available throughout the day. Reservations are available online. Liberty Kitchen, 1050 Studewood: The Easter Sunday Brunch-A-Thon at Liberty Kitchen in the Heights, River Oaks and Memorial City will feature a pre-fixe brunch menu available all day in addition to regular menu items. Brunch is available la carte or as 3-course meals. Dishes include Russian Deviled Eggs topped with caviar and served with heirloom tomato, fennel, and snow pea Aggie carrots, cups or bowls of Crab and Crawfish, Corn, Chives, and Cream Chowder and savory Swami’s-Style Shrimp & Grits with fried shrimp, grilled oysters, grilled pork belly and hushpuppies. For those with a sweet tooth, there is the Peach “Pie” and Fresh Ricotta Pancakes. Call (713) 802-0533 for reservations. 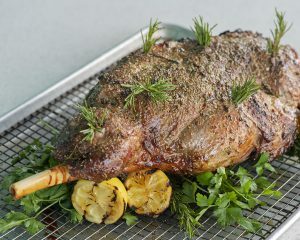 The Houstonian, 111 North Post Oak: There are three ways to celebrate Easter with The Houstonian. 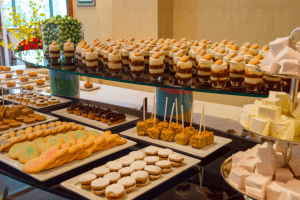 First, the family-friendly Grande Ballroom Brunch includes a bountiful array of breakfast and lunch fare with traditional Easter holiday favorites. Selections include salads, seafood and desserts and Champagne and seasonal mimosas are included. It costs $84 for adults and $39 for children over the age of four. Brunch is complimentary for children four and under and there will be a special visit from the Easter Bunny for kids of all ages. Make reservations online or by calling (713) 812-6932. 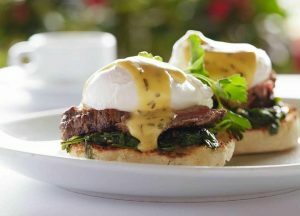 TRIBUTE at The Houstonian offers seated à la carte brunch menu items from 11 a.m. to 5 p.m.. It includes Kings Inn Salad, Scallop and Crab Etoufee and more. More information and reservations are available online or by calling (713) 685-6713. Finally, the historic Manor House is serving a Gulf Coast Creole menu for brunch from 11 a.m. to 2 p.m. The cost is $65 for adults and $25 for children. Reservations for The Manor House are available online or by calling (713) 685-6840. La Table, 1800 Post Oak: Offering Two Ways to Celebrate, La Table brings their signature Grand Brunch at Château from 10 a.m. to 3 p.m. Choose the family-style breakfast for the table or the buffet with raw bar, carving station, pastry display and more. This year’s special addition is a chocolate fountain accompanied by marshmallow peeps for dunking and assorted toppings. Marché, restaurant’s casual downstairs location, is serving an à la carte menu of its regular brunch dishes along with its new “Punch Brunch” featuring a weekly punch bowl cocktail, dish specials, and live music on the open-air patio. The cost is $85 for adults and $35 for children. Call (713) 439-1000 to make reservations. 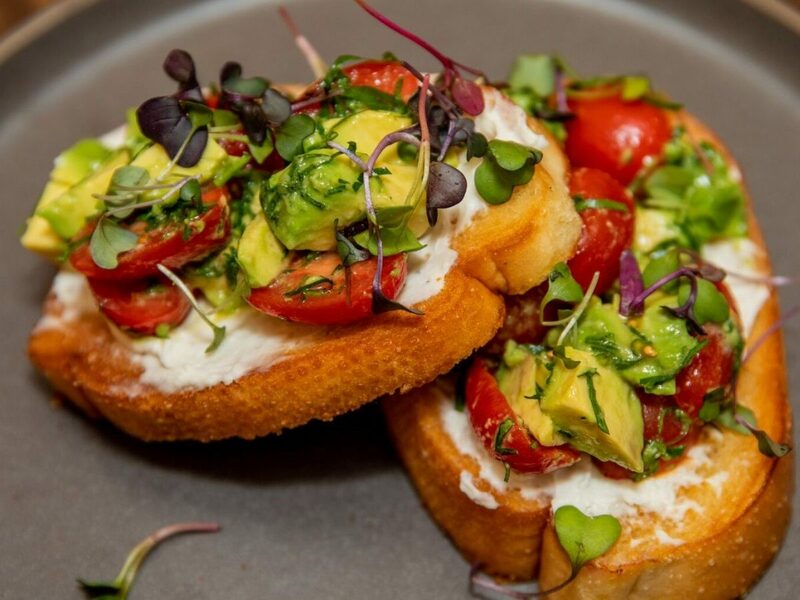 benjy’s, 2424 Dunstan: Houstonians can always count on benjy’s for innovative new American cuisine, a bustling weekend brunch scene and stylish lounge. This is no different on Easter. Enjoy a casual yet elegant Easter brunch from 10 a.m. to 4 p.m. in the beautiful Rice Village space and a regular dinner menu from 5 p.m. to 9 p.m. Pricing is set at $36 per person and the kid’s menu is $18. There’s limited seating so reserve Easter brunch or dinner online. The dining room at ROMA gets a great deal of natural light thanks to the big windows. Photo by Phaedra Cook. Roma, an Italian Eatery, 2347 University Blvd: Experience the aromas and flavors of an authentic Italian Easter menu from 11 a.m. to 4 p.m. with ROMA’s seasonally inspired dishes and Italian classics. Call (713) 664-7581 for reservations. Hungry’s, 2356 Rice Blvd; 14714 Memorial: Hungry’s is introducing a new vegan brunch menu just in time for Easter. Enjoy the meal from 9 a.m. to 3 p.m. on Easter Sunday. New dishes include Organic Buckwheat Waffles and Vegan Tofu Migas and a new drink called the Green Garden. Make reservations available online or by calling (713) 523-8652. La Villa, 4315 Montrose: La Villa is offering a special brunch pre-fixe menu designed by chef Kevin D’Andréa. The cost is $49 for adults and $24 for children. The adult meal includes a complimentary glass of Champagne, a pastry basket with butter, jam and honey, truffle scrambled eggs, a seven-hour lamb shoulder confit “Agneau Pascal” with French style mashed potatoes and a warm praline chocolate mousse with a salted crumble and vanilla ice cream. The kid’s menu includes fresh-squeezed orange juice, a pastry basket, scrambled eggs and a gourmet chocolate treat. The a la carte brunch menu is also available with highlights including oysters, black truffle risotto, croquet monsieur or madame and salade nicoise. Reservations can be made by calling (713) 524-0070 or online. The Classic, 5922 Washington: The Classic is offering a special Easter Sunday Brunch menu from 8 a.m. to 8 p.m. Selections include Steak & Eggs, Crab Toast, Porterhouse Pork Chops with roasted potatoes, sauerkraut and bacon butter and Roasted Leg of Lamb with soul-feeding za’atar and chickpea purée. Reservations can be made online. Emmaline, 3210 West Dallas: Visit this charming Montrose-area restaurant for Easter brunch and dinner. Brunch is served from 10 a.m. to 3:30 p.m. and costs $65 for adults and $25 for children. 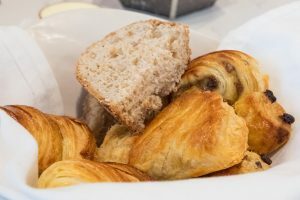 Guests can start with choice of complimentary passion fruit mimosa or glass of punch before starting on a pastry basket filled with housemade blueberry scones, mini cinnamon rolls and croissants served with lemon curd and strawberry compote. Spring makes its mark on this menu with English Pea Soup, Asparagus Wrapped Prosciutto and Spring Beet Salad. There are myriad egg dishes, too, including Lobster Benedict paired with a classic béarnaise on grilled rosemary focaccia with crisp pancetta and the Egg White Frittata. Additional options include Braised Lamb Rigatoni, Wood-Grilled Bay of Fundy Salmon and Forbidden Rice Bowl. Dinner is served a la carte starting at 5 p.m. with a curated menu featuring salads, ceviche and carpaccio, Veal Piccata, Lamb Pappardelle, Emmaline Burger, House Pizza and Mediterranean Sea Bass. Call (713) 523-3210 to make reservations. Dario’s Steakhouse & Seafood, 14315 Cypress Rosehill: The Cypress-area restaurant is serving a three-course prix-fixe brunch menu for an elegant Easter celebration. Dishes include Dario’s generously-sized Crab Cake served over corn relish and champagne mustard sauce and savory Steak & Eggs Benedict drizzled with a chipotle brandy sauce and served with asparagus and roasted breakfast potatoes. Made-from-scratch desserts include Herrera’s housemade Carrot Cake. 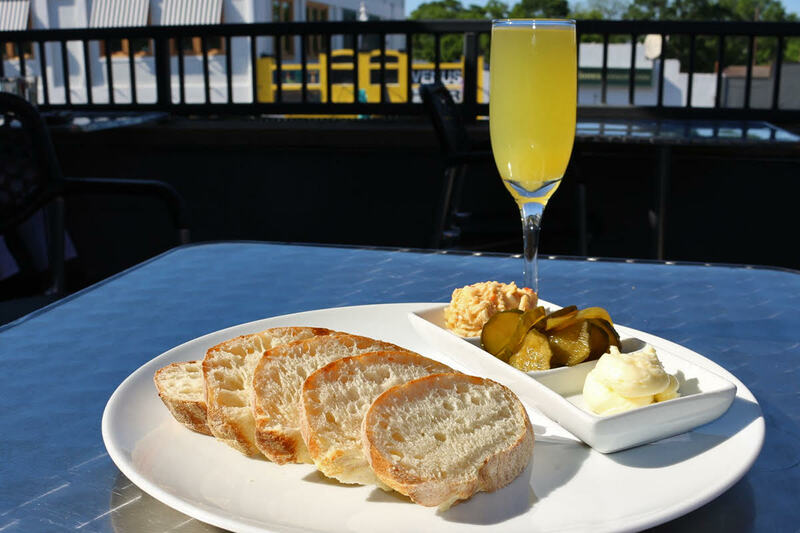 Choose from the extensive wine list or specially-priced $5 Bloody Mary’s and mimosas available through brunch. Call (281) 304-1825 or book reservations online. 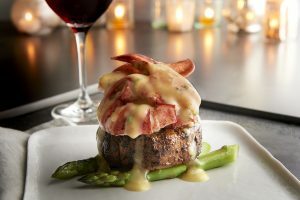 Morton’s, 25 Waterway in The Woodlands: Head north of Houston for a special brunch menu that includes Steak & Lobster Oscar. This decadent dish features a succulent 8 oz. filet topped with a whole Maine lobster, Béarnaise sauce and twin tails. Call (832) 585-0794 for reservations. Disclosure: 2840 at Dukessa, Harold’s in the Heights and The Houstonian are current sponsors of Houston Food Finder.